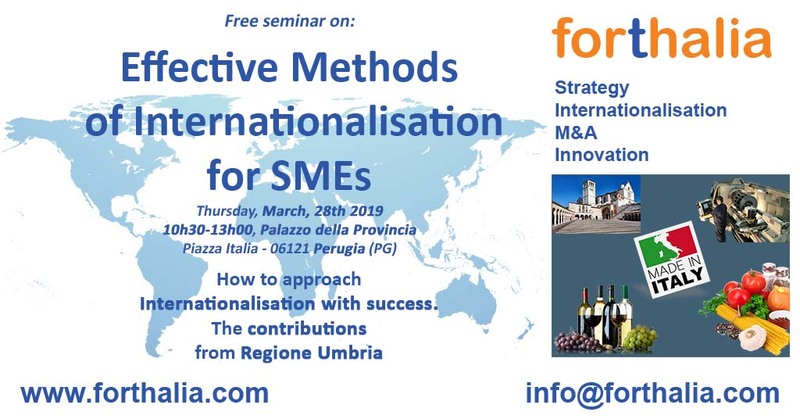 The meeting will include a presentation on effective internationalization methodologies for small and medium-sized enterprises and an important testimony. In addition some interesting non-repayable contributions made available by Regione Umbria Region for 2019 will be presented. Interested companies are invited to contact us via our web contact form, or sending an email to: info@forthalia.com or calling at: +39-02-4125347.